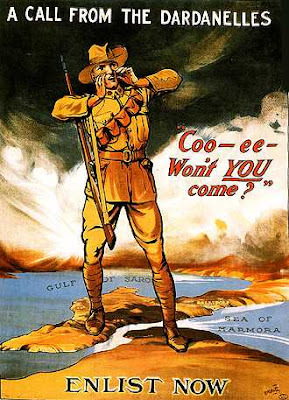 ANZAC day seems to have taken some sort of nationalistic militaristic tone of late, in our desperate fumbling for a national identity we have all scrambled to celebrate our war dead. For me, Anzac day is a chance to remember all those wonderful amazing NZ lives that we feed to a human mincer in various locations around the planet, morally I think World War Two was the only justifiable war, the rest if not questionable, were down right unethical, the sheer slaughter we committed to in World War One can never be justified, to hear wide eyed children tell TV cameras at dawn services that the soldiers ‘died for our freedom’ seems to miss the point all together, we gather to promise our young people that we will never, ever again throw away their precious lives on wasteless wars the way we did so delightfully in our past – that as NZers we have grown up and will no longer feed the dogs of war with the lives of our brightest and youngest – and that when we do go to war it is ALWAYS for the right reasons that we lay our lives down, and never simply to please an overseas power. You would think that the historical slaughter and butchery of our fellow countrymen, so much so that their bodies rise above us and blot out the sun, would be enough of a mental image to ward us against any type of celebration or cheap nationalism, sadly it seems we will ignore that image of a broken mountain of corpses, cheering our war dead as they coldly stare back at our stupidity, we seem to have leaned little in our desperate fumbling for a national identity.